Despite the tremendous cost of opposing Hitler, many Germans did oppose and resist Nazi ideology and Hitler in some-way. Many of these people are lost to history. As soon as Hitler assumed power, he was ruthless in rounding up political opponents and putting them in concentration camps. These are some of the more famous opponents who resisted Hitler and the Nazi ideology. 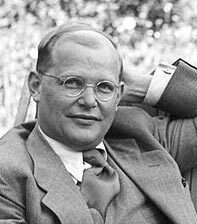 Dietrich Bonhoeffer (1906 – 1945 ) was a Lutheran Pastor who was an influential critic of Hitler and Nazism, executed in 1945. He publically spoke against the Nazi policy of euthanasia and the murder of Jews. He was executed in a Nazi concentration camp, shortly before the end of the war. 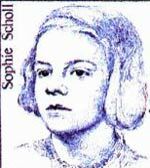 Sophie and Hans Scholl (1921/ 1918 -1943) – The Scholls opposed the Nazi ideology of Hitler’s Germany and distributed anti-Nazi propaganda to students in Munich. Both were executed for high treason. Bernhard Lichtenberg (1875 – 1943) A Roman Catholic Priest who condemned the Nazi policy towards Jews and the policy of euthanasia (killing disabled people). He was warned his activities could see him arrested, but he continued to speak out against Nazi policy. He died in transit to Dachau concentration camp in 1943. 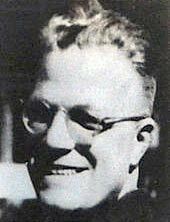 Alfred Delp ( 1907 – 1945) A Jesuit priest who organised the Kreisau Circle resistance group. He secretly helped Jews escape to Switzerland. He was active in the circle of those resisting Nazi ideology. After the 1944, July bomb plot he was arrested and later executed. 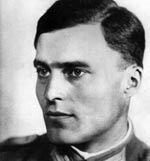 Claus von Stauffenberg (1907 – 1944) An aristocratic German officer, Stauffenberg was a principal member of the resistance to Hitler within the Wehrmacht. He led the unsuccessful July 1944 bomb plot against Hitler and was shot soon after. 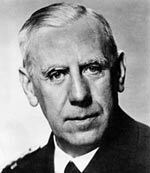 Wilhelm Franz Canaris (1887 – 1945) Head of the German Abwher, Canaris was a long-term opponent of Hitler’s rule. 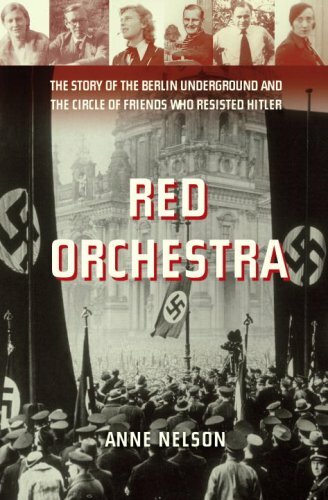 He promoted resistance and tried to work with the Allies to bring about Hitler’s downfall. Arrested and executed after the failed July plot. 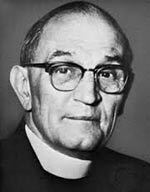 Martin Niemöller (1892 – 1984) Lutheran pastor and anti-nazi theologian. A founder of the Confessional church which sought to reject the Nazification of churches. He opposed the idea of Aryan supremacy. For his opposition to Nazi ideology, he was imprisoned in concentration camps until the end of the war. Heinz Harro Schulze-Boysen (2 September 1909 – 22 December 1942) A member of the Luftwaffe, Boysen was a leading member of an anti-fascist group in the German military. He tried to send radio signals to Russia warning them of the German invasion and sharing military secrets. He was arrested and executed in 1942. 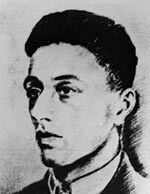 Herbert Baum (1912 – 1942) German Jewish Communist. He was a member of the Young Communist League of Germany. He distributed anti-Nazi leaflets and organised resistance to Nazism. In 1942, he organised an attack on a propaganda exhibition by J.Goebbels. He was later arrested and tortured to death. Franz Jägerstätter (1907 — 1943) An Austrian conscientious objector, who refused to serve in Hitler’s army on the grounds that he refused to fight for evil. A committed Catholic, he felt it was his duty to reject the authority of the Nazi’s because of their beliefs. Executed for his refusal to serve. 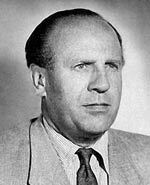 Oskar Schindler (1908 – 1974) An ethnic German who joined the Abwehr and later Nazi party. Sensing an opportunity to make money and bought a factory in occupied Poland. But, he used his connections and his own money to successfully protect over 1,000 Jews who were employed in his factory. This included spending all his money to bribe SS guards to save his workers. Konrad Adenauer (1876-1967) West Germany’s first chancellor after the Second World War (1949-63). Before Hitler’s rise to power, he was a member of the Centre party and Mayor of Cologne. He was arrested twice for holding views which made him an enemy of the state. 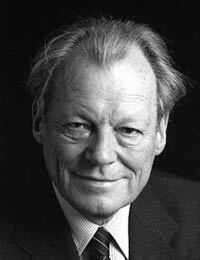 Willy Brandt (1913-1992) German politician and statesman. Opposed to Hitler, he fled to Norway in 1933 after a brief period of resisting Nazis. In 1936, he returned to Germany to try and organise resistance efforts to Nazism. Again he was forced to flee. After the war, he became Chancellor of West Germany. Albert Einstein (1879-1955) German-born theoretical physicist. In 1933, he left Germany and resided in the US, but he tried to highlight the issue of anti-Semitism and the ideology of Hitler. 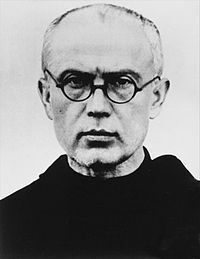 Maximilian Kolbe (1894-1941 ) was a Polish Franciscan priest In 1941, he was arrested for sheltering Jews and sent to Auschwitz. He volunteered to take the place of a man condemned to death and is known as the ‘Saint of Auschwitz’. Famous Germans A list of famous Germans. 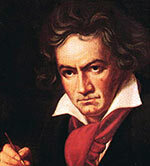 Includes; Beethoven, Bach, Konrad Adenauer, Martin Luther, Sophie Scholl and Angela Merkel. Courageous people – People who have overcome difficult circumstances and difficult odds. Includes Joan of Arc, Galileo, Harriet Tubman, Socrates, Malala Yousafzai. 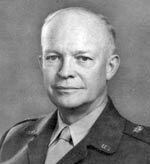 People of the Second World War (1939-45) Influential leaders, generals and civilians who caused, influenced and fought during the Second World War. Including; Hitler, Churchill, Stalin, Roosevelt, Truman, Emperor Hirohito, Eisenhower, Rommel and De Gaulle.